Apply for low cost term life insurance at our site in as little as 5 minutes. Run as many term life insurance quotes as you want without having to provide your name, phone, or email. Click through and work direct with the owners of the company. We represent most carriers. 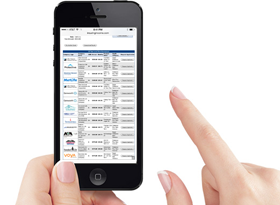 See the best possible options for any plan design in seconds. We represent most top life insurance companies in the United States. Have an existing policy? Click to compare your rates. Save money by working with Insuring Income. Need coverage? Click to run quotes now. Term Life Insurance without the nonsense. Get instant life insurance quotes and request disability insurance quotes for your occupation. 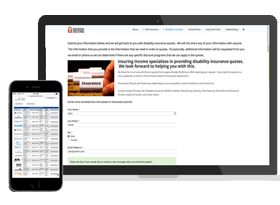 View all disability insurance proposals that we prepare for people in our DI Quote Roll. Do a search for your occupation or look at all quotes ran in your state. We show the premiums and the carriers that we quoted. Click through to apply. Helped Americans to put in place hundreds of millions of death benefit. We have been helping consumers across the country to shop for and purchase term life insurance through our website for over 6 years now. Working with America’s top life insurance companies – many that you will be really familiar with. All of the life insurance companies that we quote have at least an A rating from A.M. Best. Run a quote today. Get the application started today. Get the process started in under 5 minutes. 1. Low cost term life insurance from America’s best carriers. 3. We launched our new easy fact finder system to help consumers to get started with applying for insurance. 4. Joe Capone, ChFC®, and Rick Warren, MBA can help you today. Copyright © Insuring Income. All rights reserved, 2017..